First of all, thank you so much for investing in me through your finances, prayers, encouragements, relationships, or by reading these updates. I’m so excited to share these exciting next few months in ministry I’ll be doing with college students! This 10 month apprenticeship is with FOCUS, the ministry that I joined early on as a freshman at the University of North Texas. Through FOCUS, God shaped me into someone who really wants to learn more about people and minister to college students in particular, who are in such a critical defining period of their lives. I’m incredibly grateful for this opportunity to be involved in the lives of these students in whatever capacity that I am this year. I'm one of two apprentices to be at the Collin campuses, and one of twelve overall this year. 11 of the 12 apprentices at our apprenticeship orientation! Leaving Denton was hard. It was the town I lived in for four years, where I found friends, community, a deeper relationship with God, and a love for people that I never thought that I would have before. However, moving to Allen to be close to the Collin College campuses is an exciting new start, as I’ll be working with some people I considered close friends before, and will (hopefully) become great friends with! I’m also now living close to my family again, so I’m excited to be able to spend more time with them again. I have no doubt that my time in Denton will come handy in continuing to develop relationships and a love for God and his people in the Plano area. 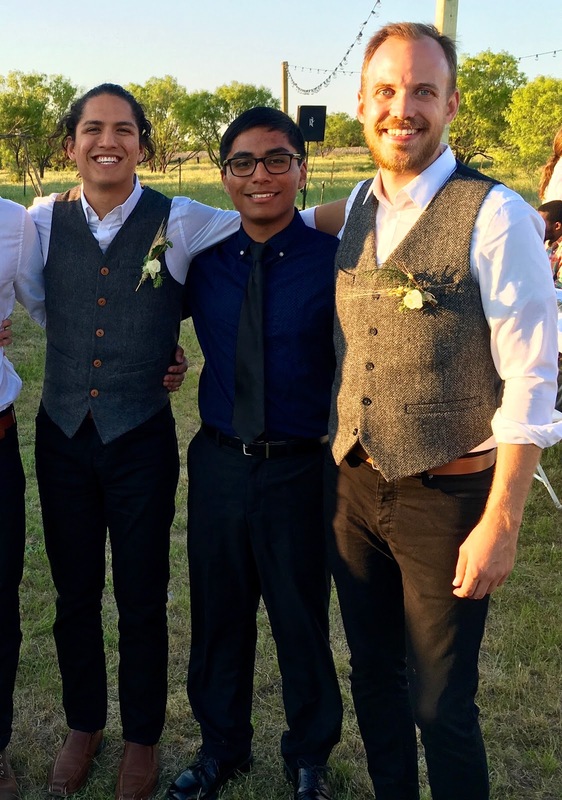 Pedro (right), me, and Cody (left). This is from two years ago when we were roommates. Pedro will once again be my roommate (and is on Collin FOCUS staff), and Cody will be my pastoral supervisor during the apprenticeship at Collin. 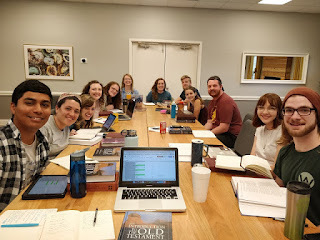 The day after moving into the house in Allen, the other apprentices and I had an orientation to get us started on our journey into full time ministry. After the six hour orientation, we joined the full time senior staff on a four-day retreat. The retreat was incredibly valuable in helping us develop relationships, share our testimonies, and to see other staff more as human beings full of quirks, flaws and all. Candid of some of the FOCUS staff doing life together during the retreat. The retreat was a success! 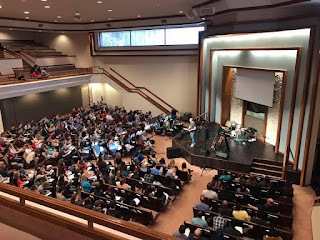 I got to better know more of the staff and plant seeds for furthering relationships with the rest of the Collin staff, and the teams at the other FOCUS campuses in Dallas, Denton, and Arlington. It's crazy to think that I'm only a week into starting this apprenticeship and I'm already feeling way closer to some of the staff members I'll be working with. I'm looking forward to seeing how we grow and change as individuals and in our relationships! The environment at staff retreat helped me rest and relax in a way that I hadn't in a while. I enjoyed reflecting on this past year and thinking about the uncertainty of the year to come! I would appreciate prayer for my transition back to the Plano/Allen area. As familiar as this area is to me (it’s where I grew up), so much has changed, and so many new faces I interact with aren’t quite familiar yet. Please ask the Lord to give me peace of mind, rest, and energy to be able to love and serve these students and the rest of the staff as we start a new adventure this year. Pray for the returning students returning to their campuses this month, and the new students who will be coming to new environments for the first time. Below you will find a student testimony from one of our students, Pita Lerma. This is a cool feature I'll be including every month as well, featuring one student monthly. Be sure to check out this glimpse into God's work throughout the different FOCUS campuses! Finally, let me know how I can ever pray for you. Please feel free to call and leave a voicemail, email me, or send me a text! I can’t wait to see what God does this year! Again, thank you for your support and prayers. Hey Alex! So excited to have you on the team at Collin. I think you will fit in well there and be able to do God's work on that campus. It was fun spending some time with you at orientation and retreat as well. I am praying for you as you dig deep in the Old Testament this month. Love you!